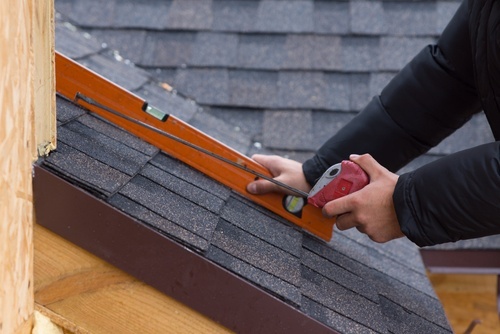 We also start each roof repair and installation project with a free inspection, so if you’re unsure about doing something, give us a call anyway. You would not wait until your car broke down to put oil in it in Manassas. The same concept applies with your roof. It’s better to set up ongoing maintenance services than to have to make an emergency services call. A storm may have blown through Manassas, and shingles from your roof are on the ground. Are repairs or replacement necessary? Probably. Give our roofing contractor company a call, and we’ll do a free inspection. In fact, if you are unsure your roof has a problem, err on the side of safety, and get in touch with us by calling (703) 345-0601. We're a local Loudoun County, Virginia roofing services company specializing in roofs, replacement and maintenance. We're ready to take your call. Electricity or heating bills that are higher. Paint that is peeling or blistering. Shingles that are cracked or curling. Water that is leaking through your roof. Of course, roof replacement services rather than roof repair in your Manassas, Northern Virginia home may be the best solution in some situations. If your roof is near the end of its lifespan. If the damage is extensive. If you are doing a renovation project. With our free roofer repair and replacement inspections, a professional roof contractor assesses your situation and makes recommendations. Our team works with you to devise replacement service solutions and to stay on the same page at every step for your Manassas home's roof. Ashburn Pro Roofing has been providing roofer services for some time, serving Manassas and other communities in Northern Virginia. With every move we make and every step we take, we keep a few things in the back of our minds. Does this approach keep the people inside as safe as possible? Would this idea maintain or even increase the value of the home? Are we using the best materials possible? Hail and high winds in Manassas are bound to get you down at some point. When that happens, give us a call, and we’ll take care of the hassle. We even have experience in dealing with insurance companies, and we can help you with that. In fact, availability is one of our features, and we’ll have a professional present for every on-site meeting with your insurance adjuster. Our Manassas roof replacement and repair services come full circle. We begin with an inspection and end with an inspection to ensure our quality and workmanship. We also encourage ongoing maintenance to stave off costly problems. Make sure whatever roofer that you hire has the proper license to do the repair or replacement roofer job. Contact the Loudoun County building department and see what kinds of documents you're going to need. An experienced Manassas repair or replacement roofer services team can achieve good results more quickly. The age of your Manassas roof is the main factor in deciding whether it needs replacing. Most roofs only have a lifespan of twenty years or so before roofing replacement service is needed. If you installed your roof above an old one, you are going to have to redo your roofing in 20 years. Never pay until the roofing repair or replacement services job is complete. You might need to pay a quarter of the entire price in order for work to commence, but avoid paying more than that. Call Ashburn Pro Roofing for roof repair or replacement services at (703) 345-0601.